Hubstaff is made up of a team of remote workers from across the world – we rely on apps that streamline communication, customer support, marketing, and development each day. We’re sharing a list of some of the most important ones here that just about all startups would benefit from utilizing. Keep reading – we have a special offer that the end that will allow you to save on all these apps for our own startup (there are also quite a few more that you will find extremely helpful). It’s no surprise that we rely on time tracking every day. Hubstaff allows each team member to track their exact time working and ensures that every team member gets paid accordingly. It also helps us drill down on different tasks and see how much time is spent on each. It would be very difficult, if not impossible, to run a remote team with solid time tracking. Another essential component of successful startups and remote teams is a project management tool. Email is not an effective way to assign tasks and track their progress – Trello allows us to let developers know about issues, assign tasks to team members, and communicate about marketing ideas. In Trello, tasks are known as “cards” and can be assigned to multiple people. They can be commented on, archived, or dragged around to reorganize. Trello integrates with Hubstaff, so you can even track the time you spend working on a card. We love Referral SaaSquatch because it incentivizes sharing your service with discounted use of your service. With affiliate programs, you tend to get affiliates that don’t even use the service they are promoting, but with Referral SaaSquatch, you only get active users promoting your service. Users can recommend your service and get money off their subscription – meaning that you’ll only get people recommending your product that truly believe in it and plan on continuing to use it. 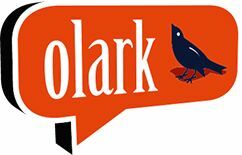 Olark allows us to offer live support to potential customers. Olark is easy to insert into whatever pages you want it to be available, and can be configured to pop open to grab the attention of visitors, or sit quietly in the corner of the page in case anyone needs to ask a question. It’s overwhelming selecting the right tools for your startup – that’s why we’ve only highlighted four of the most important ones. There are plenty of other solid tools you should be using. 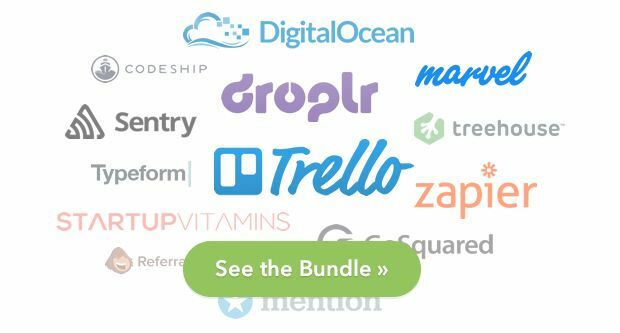 We’ve partnered with Paddle to get you nearly $4,000 in startup discounts so you can get these essential tools in place without cost being a prohibitive factor. The discounts include 6 Months FREE of Hubstaff time tracking. If you’ve been wanting to check it out, now is the perfect time to do so. This deal and the rest of the huge bundle aren’t going to be available forever.